For experts and watchers of Russia's economy, the moves were troubling, suggesting that government officials could be dusting off an old Soviet playbook, when communist authorities regularly sought to hide or change unwelcome data. "It's troubling," says Vladimir Tikhomirov, the lead economist for the Moscow-based BCS Financial Group. "The estimate came out much higher than anyone expected on the street." "That does raises question about the reliability of the data," he tells RFE/RL. Adding to the scrutiny was that Aleksei Kudrin, a former finance minister who currently heads the government's Audit Chamber, tweeted out an even lower-ball official estimate -- 1.5 percent growth. But three years after the country emerged from a recession caused by Western sanctions and low oil prices, the issue comes at a sensitive time for President Vladimir Putin's administration. Wages are stagnating. Inflation is running at 5 percent. A Kremlin-backed program to reform the country's pension system was met with widespread anger and even street protests. An increase in the country's value-added tax prompted a spurt of retail spending by consumer anticipating higher taxes and higher prices. And Western sanctions have restricted the ability of banks to access global credit markets. Public opinion polls have shown growing dissatisfaction among Russians about bread-and-butter economic issues. Since his reelection in March, Putin's popularity has dropped noticeably. Some observers speculated that Rosstat's stronger-than-expected data might be attributable to earlier construction data that was revised upward in the third quarter of 2018. That increase stemmed from a major $27 billion LNG plant being constructed by the gas company Novatek in the northern Yamal Peninsula. Tikhomirov dismisses that explanation as implausible. "You don't magically put a plant into operation in one quarter, the construction data should be spread throughout a number of quarters instead of one quarter," he says. "If that's the case, this is the wrong methodology." If that turns out to be the case, it wouldn't be first time. "There is quite a history of Soviet statisticians being [pressured] to produce politically convenient figures," says Stephen Wheatcroft, a professor at the University of Melbourne and author of several books and articles on Soviet economic history. One example came in the early 1930s as the Soviet Union grappled with a famine that devastated Ukraine, Kazakhstan, southern Russia, and other agricultural regions and killed millions. Nikolai Osinsky was an economist who ran one of the government's main statistics agencies. He disseminated data showing that grain harvests in 1931 and 1932 were well below production quotas, which upset communist planners, Wheatcroft says. Wheatcroft says a nationwide census in 1937 caused further headaches for government statisticians and data collectors. Final figures showed the Soviet Union's population to be 16 million less than expected -- a result that reflected the spike in mortality rates caused by the famine. "In the political atmosphere of the time this led the census to be declared wrecked with the head of [Central Statistics Directorate] and many demographers executed or sent to the camps," he says. An even more recent example concerns not government statistics, but how economics is taught in schools. Igor Lipsits, a professor at the Higher School of Economics, a respected Moscow research university, had a high-school textbook rejected by his publisher because the Education Ministry said that examples cited in the book "do not promote love for the Motherland." 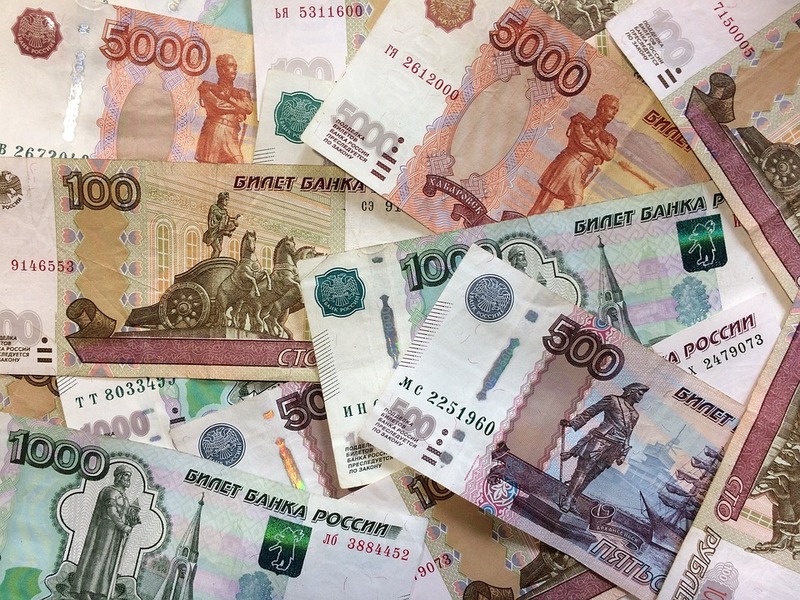 To be sure, despite its problems Russia's economy remains on relatively solid ground. The government's sovereign-wealth funds are well stocked, and the country has one of the world's largest gold reserves, which will help to insulate it from short-term economic shocks. Questions of whether economic statistics accurately reflected that rosy picture came up during Putin's annual marathon news conference on December 20, when a reporter suggested that official data might not be trustworthy. "Your concern is understandable, and I partly share it, but only in that it's necessary to better explain to people where the figures come from and what they mean and how to react to them," Putin said. Days after the news conference, the head of Rosstat, Aleksandr Surinov, resigned, and was replaced by a former Economic Development Ministry official.Adding further questions were comments by Andrei Klepach, the chief economist of the state-owned bank VEB, who was quoted by the state news agency TASS on February 4, after the release of the data, as saying, "I'm not inclined to trust anything else for now." The report in which Klepach's quote appeared was removed by TASS two days later. Without it, he says, "over time, that will erode trust, from the street, but also within the government itself." "Then it becomes dangerous," Tikhomirov says. "Then you're relying on statistics that are tweaked to be put into rosy light and you end up in the situation where your policy does not reflect the actual situation of the economy. And that creates tension in society, and within the government itself. "My hope is that Rosstat will help restore faith in their statistical data," he says.